Anyone seeking to grow plants hydroponically must pay careful attention to their hydroponic system design. One essential element of a functional hydroponics system is water quality monitoring. In traditional growing, plants absorb nutrients from the soil. In order for hydroponically grown plants to get the nutrients they need, the water in a hydroponic system must be nutrient enriched. Nutrient enriched water should be closely monitored to ensure that nutrient levels are not too low (inhibiting growth) or too high (potentially toxic). This makes electrical conductivity a key water quality parameter in hydroponics applications. Hydroponic nutrient solutions are made of mineral salts dissolved in water. The strength of the nutrient solution can be detected by monitoring the electrical conductivity (EC). Higher EC values indicate higher ionic (salt) concentrations. The ideal conductivity level to promote growth will vary by plant type. Different hydroponic plants will respond better to different nutrients. In turn, different nutrients will produce different conductivity values, as they dissociate into ions in solution. The pH levels in a hydroponic system can also significantly impact plant health. Plants absorb nutrient solution through their roots; a plant’s ability to absorb solution often depends on the pH of the solution. For example, acidic solutions promote absorption of aluminum, hydrogen, and manganese. When a solution is too acidic, over absorption of these elements can be toxic to the plant. Conversely, at low pH, calcium and magnesium are less readily absorbed. This can lead to deficiencies of these nutrients. The same is true in alkaline environments, which increase availability of molybdenum and macronutrients and decrease availability of phosphorus, iron, zinc, copper and cobalt. A hydroponic growing system typically contains three water tanks: clean fresh water, nutrient enriched and pH controlled water, and wastewater. The nutrient enriched and pH controlled water comprises the growth medium for the plants. 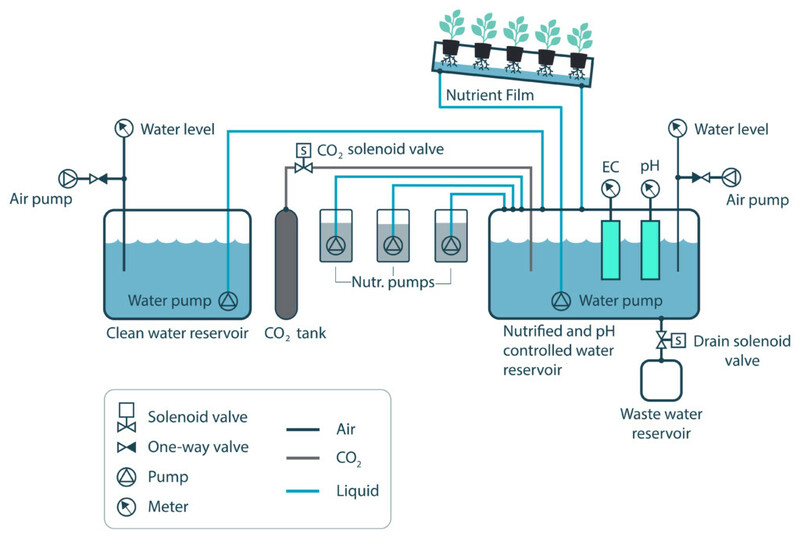 The pH level and nutrient composition in this water reservoir is controlled using valves and pumps to add nutrients, carbon dioxide, or fresh water. Draining wastewater from the nutrient enriched water reservoir helps to maintain consistent water levels, while adjusting nutrient concentration and pH. To set up a hydroponic monitoring system, conductivity sensors and pH sensors should be installed in the water reservoir that will be used to supply the plants’ growth medium. 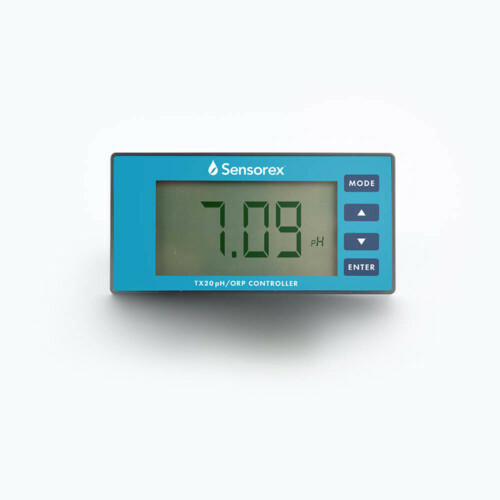 Based on the measurement data from the sensors, pH controllers and conductivity controllers signal for the opening and closing of valves or operation of pumps. For example, if nutrient concentration in the water reservoir became too high, the conductivity controller could turn on the fresh water pump to dilute the nutrients. Conversely, if nutrient concentration became too low, the conductivity controller could turn on the nutrient pumps. Similarly, if pH became too high, the pH controller could open the solenoid valve, allowing carbon dioxide to flow into the water reservoir. Carbon dioxide reacts with water to form carbonic acid, which lowers the pH of the solution. Hydroponics is considered a relatively light duty application for pH and electrical conductivity sensors. This makes sense, because typically if a plant can survive in the environment, then so can a sensor. For this reason, hydroponics systems typically incorporate laboratory style pH and EC sensors, which have the benefit of being low cost and easy to use. 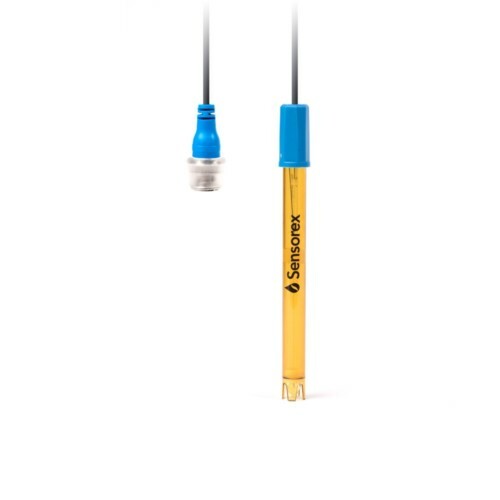 Laboratory style pH sensors come in both glass and plastic bodies; plastic bodies are favored for hydroponics applications, since they are more durable. Glass bodies are used when chemicals in solution are likely to react with the polymer body material, but this is not typically an issue in hydroponics. Laboratory pH sensors are designed with junctions that separate the sensor internals from the liquid being measured. Most hydroponics measuring systems can use single junction pH sensors with good results. 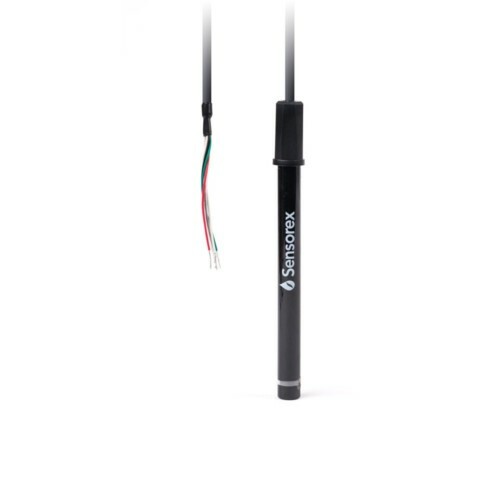 Double junction pH sensors offer added protection against contamination of the sensor reference system. This protects the sensor from “reference poisoning,” which may extend the sensor’s lifetime in solutions that contain chemicals that react with silver. When selecting an EC sensor, it is important to consider the cell constant. The cell constant is a mechanical design specification that determines whether a sensor is suitable to measure low concentration or high concentration solutions. Typically, a cell constant of K=1.0 is a good choice for hydroponics applications. Most standard sensors feature a BNC connector or tinned leads and 3-10 feet of cable. The BNC connector allows the sensor to plug in to a variety of different meters, controllers, or transmitters. If you are designing a new hydroponics water treatment product, we can help design a sensor with custom cables, connectors, and more for your product.